Until The 53rd Annual St. Benedict OktoberFest. While nobody looks forward to the onset of shorter daylight hours and cooler temperatures, the buzz is starting to swirl and people are getting excited because it’s time to dust off the alpine hats, dirndls and lederhosen! 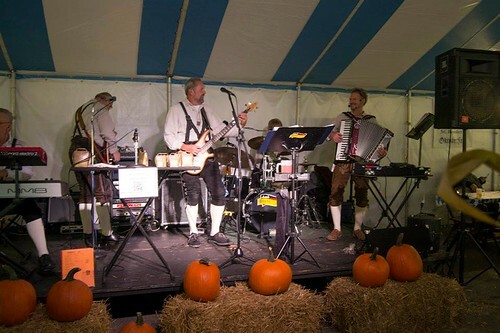 Cheerful toasts of “Zum Wohl” and shouts of “Prost!” will resonate through the parish courtyard once more as we celebrate our German roots with the 53rd Annual St. Benedict OktoberFest, held from September 28th through September 30th. As always admission is FREE! We would like to extend a big thank you to all of our sponsors who help make this event possible! Interested in becoming a sponsor? Check out the Sponsorship Information Page Here or get started with the Sponsorship Application Form here!